A. What Is an Acrylic Resin? – Acrylic resins are hard, brittle, glassy polymers. – The commercial plastic called Plexiglas is an acrylic resin product. – Acrylic resin is clear and colorless, making it an excellent replacement material for glass in storm doors. – Acrylic resins are easily colored. – Technically, acrylic resins are classified as thermoplastic materials, and many commercial products are made by injection molding acrylic materials. – In dentistry, however, acrylic resins are handled more like a thermoset material; after it sets, it is not heated and molded. – The most common acrylic monomer is methyl methacrylate. 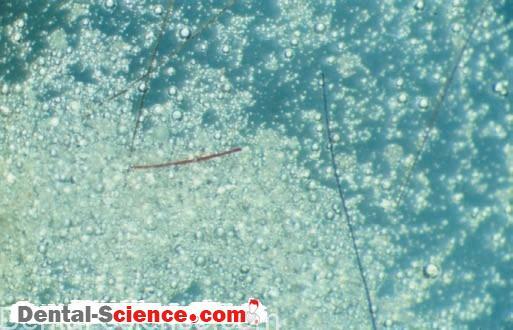 – Acrylic resins are long chains of such monomers. – The chains have side groups that inhibit chain slippage and result in mechanical properties that provide more strength than polymer chains without side groups. – Polyethylene (the same material used in “plastic” sandwich bags) is an example of a polymer without side groups. 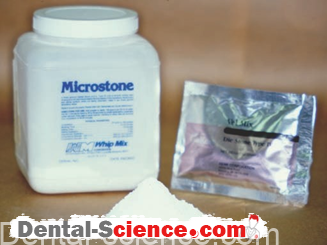 – Acrylic resins were developed in the 1930s and were first used in dentistry in the 1940s. – They quickly replaced materials previously used in the construction of dentures. 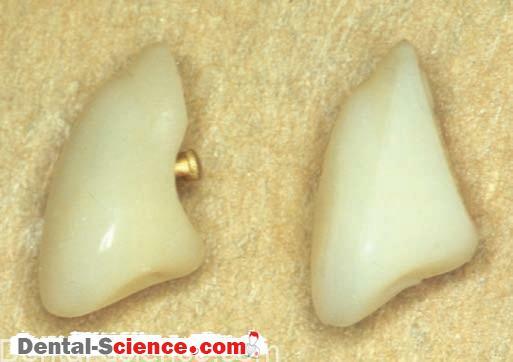 – They were also used (without success) as a direct restorative material. 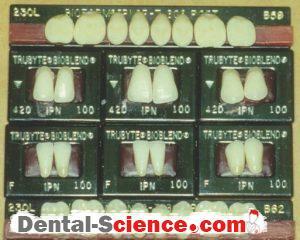 – They have been adapted for many other uses in dentistry. – Their handling characteristics and mechanical properties are quite satisfactory for a variety of applications. orthopedic surgeon (John Charnley) that acrylic resin would be a good material to cement artificial joints in place. – The same terms and classifications are used. They are based on the method used to initiate polymerization. – The typical components are listed in the next Table. – The liquid is mostly monomer, methyl methacrylate. – A cross-linking agent, such as glycol di-methacrylate, is added. – An inhibitor is always added to methyl methacrylate to prevent premature polymerization; hydroquinone is most commonly used. labeling things) and even some polymers. is an important property that has a significant effect on the handling properties of acrylic resin systems. – It is usually composed of very small beads of acrylic resin. – When activated, benzoyl peroxide forms free radicals to initiate polymerization. the construction of a custom tray. During the initial stages, the changes are physical. – The mixed powder and liquid have a “grainy” or “sandy” feel. 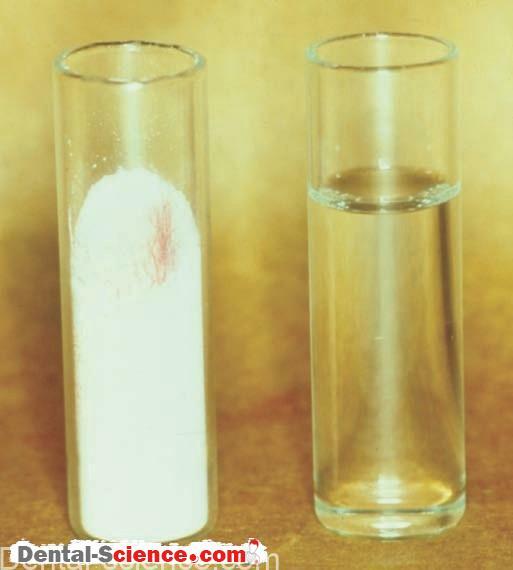 – The powder and liquid are separate phases. – As more powder is dissolved, the material reaches the “dough” stage. – At this point, the material is easy to handle and mold, and up to this point, the changes are mainly physical. – A cold-cure or chemically activated system has an activator, typically a tertiary amine, added to the liquid. – When the powder and liquid are mixed, the benzoyl peroxide and the tertiary amine react to produce free radicals. – The inhibitor in the liquid destroys the free radicals that are initially produced, and working time results. – This occurs while the material goes from a grainy to a dough stage. – When the inhibitor is used up, typically during the dough stage, chemical changes occur, and the polymerization reaction proceeds. – The doughy material thickens and becomes stiffer. – The reaction generates heat as well, and the material becomes warm. the material becomes hot to the touch. – The material becomes rigid and solid as polymerization reaches completion. – Initially, the set material contains some residual monomer. or unreacted double bonds in the set material. – Cross-linking the resin improves mechanical properties. – A linear resin without any crosslinking agent is brittle. – Addition of a crosslinking agent improves the toughness of the material. 1. Heat-activated acrylic resin systems are very similar to chemically activated systems. The major exception is that no chemical activator is present in the liquid. 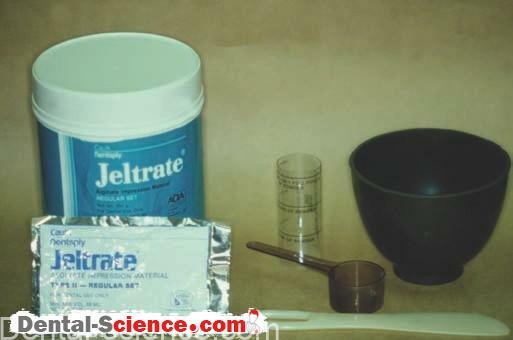 A minor difference is that less inhibitor is present in the liquid. The inhibitor is not needed to provide working time; it functions as a preservative, reacting with free radicals to prevent polymerization during storage. 2. Heat-activated systems are supplied as powder/liquid systems similar to those of cold-cure resins. When the powder and liquid are mixed, they go through the same initial stages of the setting process. Because no chemical activator is present, the mixed material stays in the dough stage for an extended period of time. Therefore, working time is much longer than it is for heatcure acrylic resins. After the material is formed into the desired shape (to be explained later), the material is heated in a water bath. The heat breaks down the benzoyl peroxide, forming free radicals. Polymerization proceeds by changing the dough into a rigid material. Products that are properly heat-cured are a bit stronger and tougher than cold-cure acrylic resins. – Light-activated and dual-cure acrylic resin systems are available, but they are not as popular as light activated and dual-cure composites. – Recently, light-activated and dual-cure composite materials for temporary crowns, custom trays, and other acrylic resin uses have been introduced. – Because these composite materials are stronger, they are gaining acceptance. – As prices decrease, they may completely replace acrylic resins for some uses. 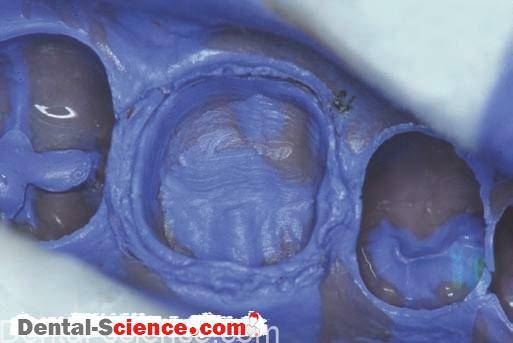 – Regardless of the type of activation of an acrylic resin system, porosity is a major concern. – Methyl methacrylate and other monomers evaporate easily at room temperature. – If monomer evaporates during handling or processing, the resulting material will be porous. – Porosity weakens the material. 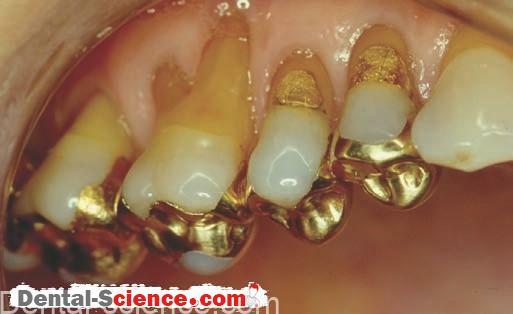 – Also, the denture is likely to collect debris in pores and develop an offensive odor and taste. 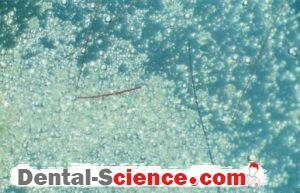 – A great deal of effort is made to prevent porosity when acrylic resins are processed. – Pressure and temperature controls are used to minimize porosity. – A complete denture or full denture replaces an entire arch of missing teeth. – A complete denture also replaces alveolar bone, which is resorbed when teeth are missing. 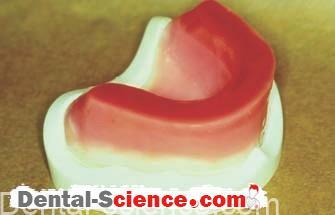 – Dentures are made with acrylic materials that are colored to simulate the missing tissues. a peripheral “seal” for adequate retention (like that of a suction cup). effectiveness of a suction cup. supporting tissues and the proper extension of the denture borders. – Proper extension of the borders of a denture determines the seal and much of the success of a denture. – Most patients function reasonably well with an upper denture. – The same cannot be said for lower complete dentures. 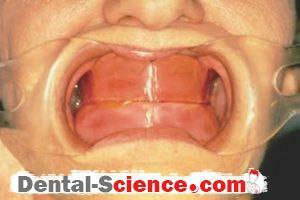 – The peripheral seal of a lower denture is much less effective than that of an upper denture. – In addition, an upper denture has a larger surface-bearing area (the palate), and it usually has a better alveolar ridge to support the denture. – Denture teeth are purchased from a manufacturer. – The denture base is made in the dental laboratory following the dentist’s prescription; it is made on the master cast, which is a positive reproduction of the patient’s alveolar ridge. – Denture teeth come in a variety of shapes, sizes, and shades. 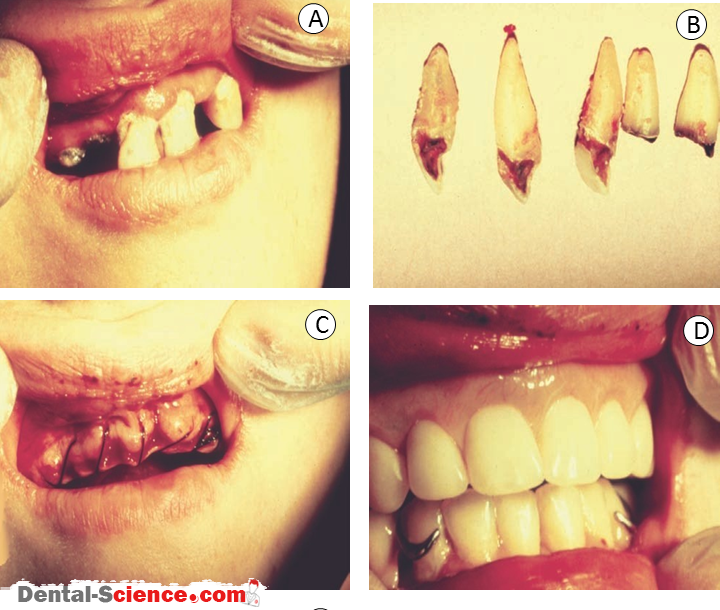 – The shape is chosen to match that of the patient’s natural teeth, usually as judged from an old photograph. – Another technique is to use the shape of the face to select the tooth shape. – The size is determined by the size of the patient’s arch. – The shade of the teeth is chosen to match the patient’s natural complexion. – Often, the patient desires white teeth and must be counseled as to the true color of natural teeth, because bright white teeth will look artificial. – Today, most denture teeth are made from acrylic resin much like that used to construct the denture base. – Denture teeth have more cross-linking agents added. – Because the teeth are constructed under tightly controlled conditions at a manufacturing plant, they are stronger than the acrylic material used for the denture base. – Acrylic denture teeth are “chemically” bonded to the acrylic denture base during processing of the denture. – Porcelain teeth are made by manufacturers in much the same shapes, sizes, and shades as acrylic teeth. – Porcelain teeth are much harder and more stain-resistant compared to acrylic teeth. supporting and opposing alveolar ridges. 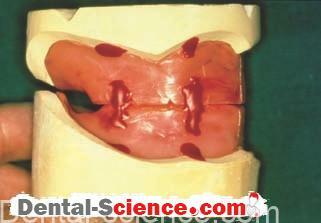 embedded in the back of the denture tooth. – Composite denture teeth are made from materials similar to dental restorative composite materials. 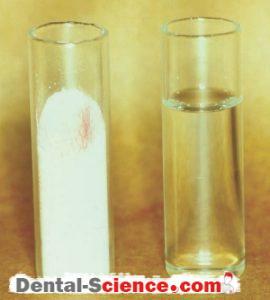 – The resin is slightly different, but fillers are added to improve strength and wear resistance. 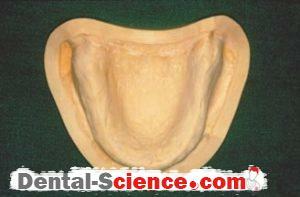 – The denture base is constructed on the master cast made from the final impression. 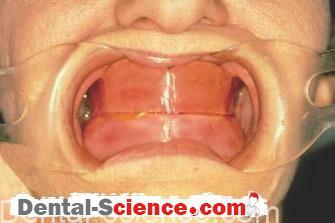 – The denture base is the pink part of the denture that sits on the alveolar ridge. – Typically, denture construction requires a number of dental appointments and laboratory procedures. final impression, and master cast (in that order). 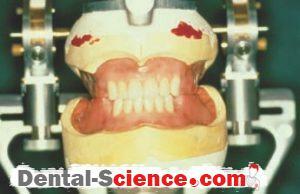 – The denture is directly constructed on the master cast. – The relationship of the maxillary and mandibular ridges, or the “bite of the patient,” is very important to the success of the prosthesis. – An improper relationship can result in overworked muscles of mastication, poor phonetics, and unsatisfactory esthetics. 1. First, a “baseplate” and “wax rims” are constructed from chemically activated acrylic (or similar material) and baseplate wax. They are made to precisely rest on the patient’s ridge. 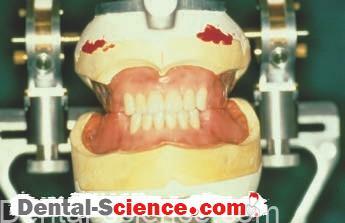 occlusion,” and size of the denture teeth. The plane of occlusion is the plane where the upper. 3. At the same appointment, the patient’s bite is recorded. supporting tissues in the mouth. 4. With the aid of baseplates and rims, the casts are mounted on an articulator using dental plaster. 5. The denture teeth are “set” in wax. Wax is easily softened with a hot instrument to allow the denture teeth to be partially set in wax and then easily moved into the proper position. 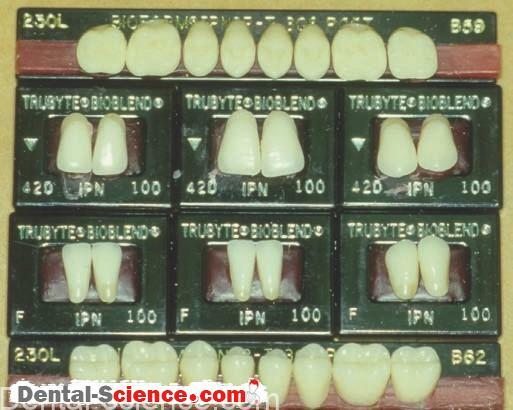 When all the denture teeth are set in wax, it is called a denture setup. 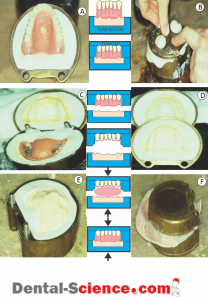 A setup simulates the proper bite (relationship of the two arches), the vertical dimension (distance between the two arches), and the esthetics of the final denture. 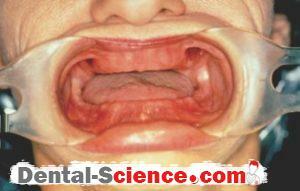 patient’s mouth. This procedure is called the “wax try-in”. before the actual denture is processed. a denture flask filled with gypsum materials. It is done in such a way as to create a split mold. The mold is opened, and the wax and the baseplate are removed. Acrylic resin in the dough stage is placed in the mold space. The mold is then closed, and the acrylic resin replaces the wax and base plate, forming the denture base. 2. The closed mold is heated in a water bath to activate the heat-cure acrylic resin. The heating rate is controlled to reduce porosity. The application of pressure minimizes loss of the volatile monomer. Loss of monomer results in porosity and weak spots. gypsum materials. It is then finished, polished, disinfected, and delivered to the patient. support and retain a prosthesis. – If the prosthesis can be removed by the patient, it is called a removable partial denture or simply a partial denture. – Most partial dentures are supported by both natural teeth and the alveolar ridge. – A lower partial denture with a few remaining natural teeth to hold it securely functions far better than a complete lower denture. – The dental hygienist should stress to the patient the critical need to maintain the remaining natural teeth so that wearing a mandibular complete denture is avoided. – Patients with a mandibular complete denture often have problems chewing. – The mandibular denture will lack suction or retention and will float and move around in the mouth. – The lack of stability of a mandibular denture may cause “sore spots” (ulcerations of the oral mucosa) and make speech difficult. 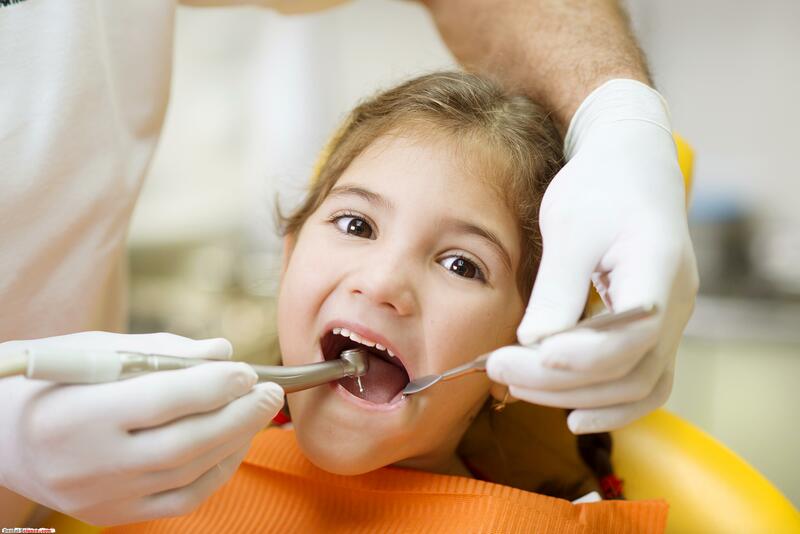 – This is an important preventive responsibility of the dental hygienist. 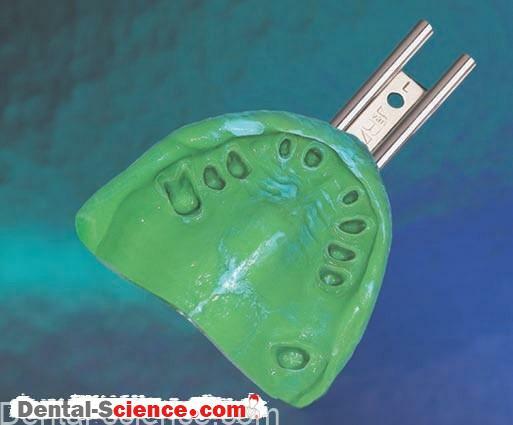 – A partial denture uses a cast metal “framework” for retention. – The framework is composed of clasps, connectors, and mesh. 1. The framework has clasps that rest on and go around the abutment teeth. Because the clasps are metal, they can be bent to adjust their fit. 3. The framework also has an area of mesh that the acrylic resin flows into and around when the partial denture is processed. This results in the mechanical attachment of the teeth and the denture base to the framework. 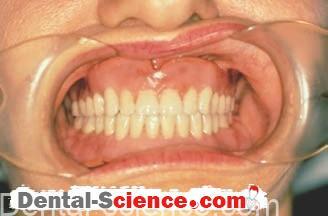 – The denture base is constructed and used in much the same way as a complete denture. – However, the mesh areas of the partial denture framework are embedded in acrylic resin. 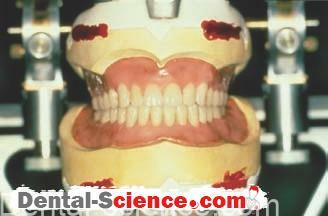 – The same teeth used to construct complete dentures are used to construct partial dentures. 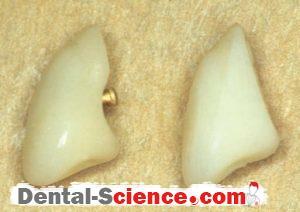 – Teeth are chosen with the proper shape, size, and shade to replace the missing natural teeth. – A partial denture is processed much like a complete denture. resorbs when teeth are not present. – Most resorption occurs when the teeth are first extracted, but resorption continues slowly throughout a patient’s life. – Therefore, as the alveolar ridge changes, the fi t of the denture changes as well. 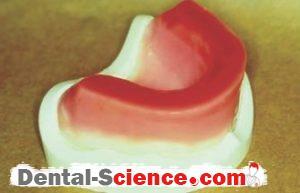 adhesives or over-the-counter denture “cushion” materials or liners. – Use of these materials makes cleaning the denture difficult and can result in a foul smell. – Long-term use of adhesives may cause tissue inflammation. – The dental hygienist must be aware of these problems and educate patients about the proper use of over-the-counter products and treatment options. – An “old” denture can have its fit improved by a process called relining. – Relining adds a small amount of new material to the inside tissue area of the denture base to replace the additional alveolar ridge that has been lost since the denture was made. – Relining a denture can be done either using a dental laboratory or at chairside. – A laboratory-processed reline involves making an impression, much like the final impression that is made when a denture is constructed. 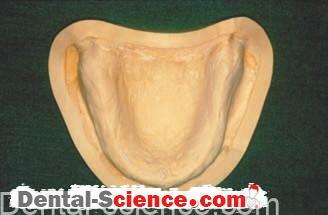 – The existing denture functions as the impression tray. 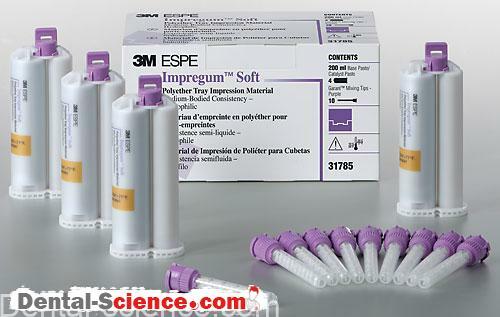 – A variety of impression materials are used depending on the clinician’s personal preference. – The denture containing the impression is sent to a dental laboratory. – A cast is poured. – New acrylic material is added to fill the space between the denture and the cast (the space previously occupied by the impression material). 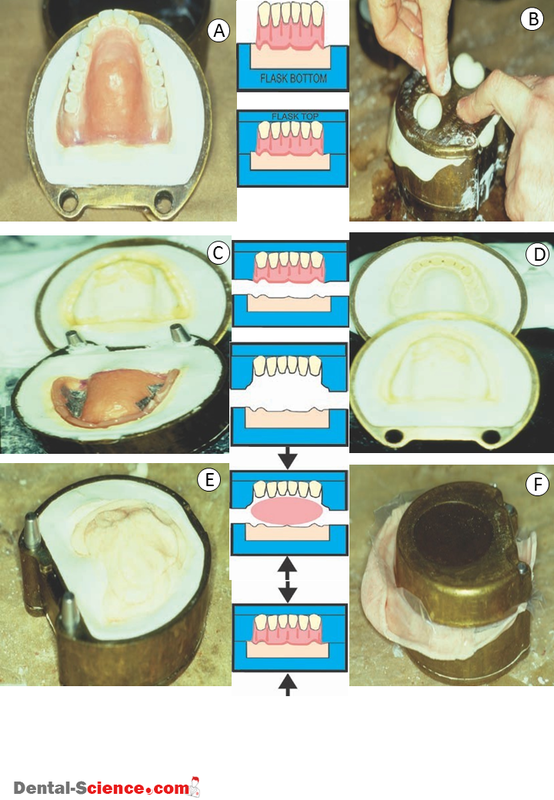 construction of a new denture. – The denture is returned to the dentist and given to the patient. without their denture for a day or more when the reline is processed at a dental laboratory. – A chairside reline uses a different material. – The material is mixed, placed in the denture, and then placed in the patient’s mouth. – The material sets in the mouth and becomes rigid. – The excess is trimmed, and the denture is polished and returned to the patient. – The advantage is that the patient does not go without his or her denture. – The disadvantage is that the new material is more porous and, typically, not as smooth as that of a laboratory reline. – Most dentures are made for patients who have had their teeth previously extracted. – An immediate denture is a denture that is placed at the same appointment during which the remaining teeth are extracted. – Typically, when an immediate denture is constructed, many of the teeth in the arch to receive the denture are already missing and most of the remaining teeth are hopeless. similar to a complete denture. – At the delivery appointment, the remaining teeth are extracted, the denture is placed, and postoperative instructions are given to the patient. – An immediate denture not only restores function and esthetics, it can protect the extraction sites during healing. In most cases, an immediate denture is relined several months after it is placed. – It is not unusual for a denture or other acrylic prosthesis or appliance to fracture. – It seems that dogs love to chew on them. 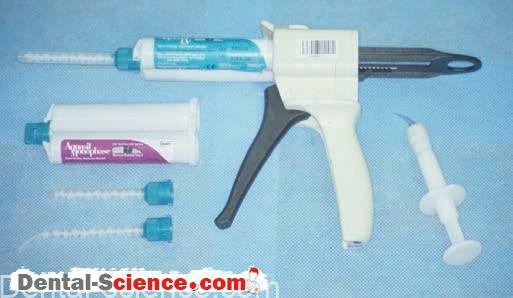 – Repairs are made by using new, chemically activated acrylic material as a glue to repair the fracture. – In many offices, the dental hygienist may be the professional who repairs simple fractures of partial or complete dentures. – The process involves several steps. – First, clean the surfaces being repaired. – Next, monomer is applied to the clean surfaces to dissolve some of the set material. embedded in the solid acrylic resin. – New material is then mixed, applied to the surface, and allowed to set. – The polymer chains of the old material become entangled in the new material. – Finally, the repaired prosthesis is finished and polished by using acrylic burs, pumice, and other materials as for a complete denture. – This too can be done by the dental hygienist. – It is important that patients regularly clean their dentures. – Patients should be instructed to brush their prostheses with a denture cleaner and a denture brush or to use other denture cleaning procedures. 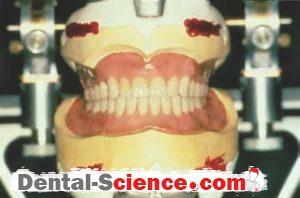 – Calculus may form on the denture in similar areas as in natural teeth. remove the calculus in a manner that is not harmful to the acrylic. 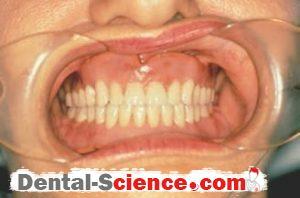 – Most dentists prefer that their patients do not sleep with dentures in the mouth. – Therefore, patients should store their dentures in water at night. – During dental appointments, it is important to store acrylic appliances in water. – Do not let them dry out, because they may warp. – This applies not only to dentures but also to acrylic orthodontic retainers. – The dental hygienist should play an active role during recall visits and educate patients who wear complete and partial dentures.